The Zombie Apocalypse, that is. Or, should we say "another" Zombie Apocalypse? Ready or not, here they come to bite, swipe, moan, and growl their way onto your Xbox LIVE Arcade or PSN account. 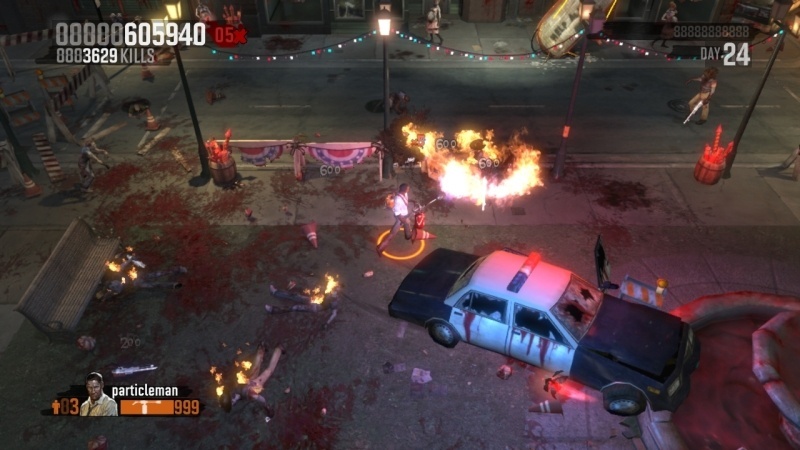 While looking at The Zombie Apocalypse, you'll be heavily reminded of your time in Left 4 Dead, only with a requirement to survive for as long as possible (up to 55 days) instead of simply making it to a rescue vehicle. 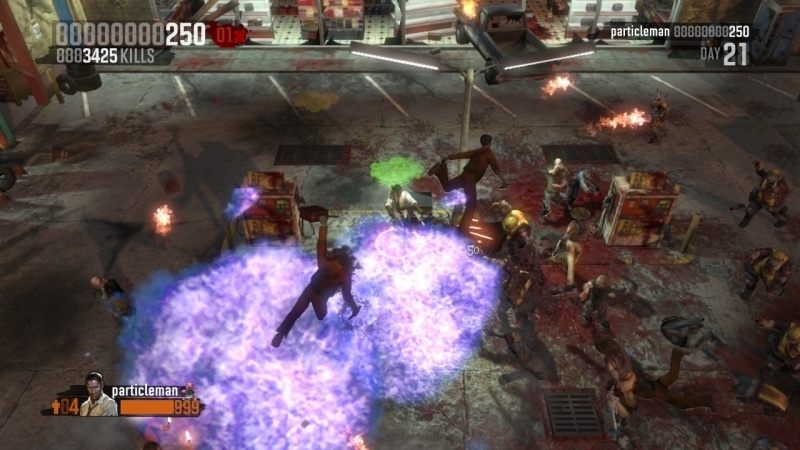 While humorously taunting the enemies, who may or may not understand "Killin' zombies! Mmmhmmm, uh-huh, I'm bad!" you're expected to fight off waves of the undead. Fortunately, aside from the 11 different weapons at your disposal, you're also given a number of ways to environmentally devestate the your enemy before they can say the same about you. 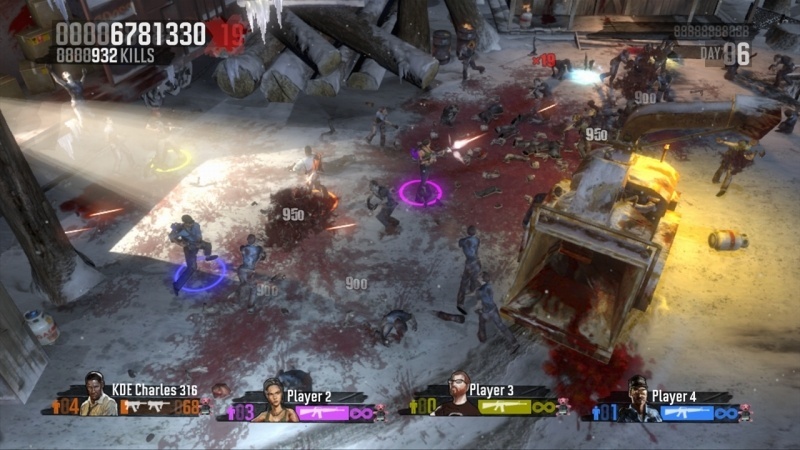 Kotaku previewed the game as "The Top-Down Left 4 Dead", which suggests a few similarities between Zombie Apocalypse and Left 4 Dead. To start with, you have 4 main characters in Zombie Apocalypse who stunningly resemble Zoey, Louis, Bill, and Francis - from a shrunken top-down view, of course. 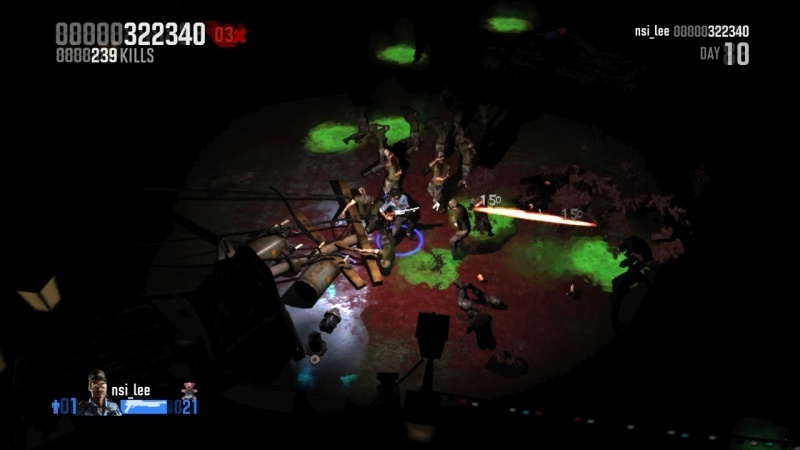 We also noticed things in the video such as a pipe-bomb that attracts many of the enemies to be destroyed at once, as well as the Airport "stage" in Zombie Apocalypse resembling the "Dead Air" stage from Left 4 Dead. This type of shooter closely resembles Geometry Wars before anything else, spraying bullets any direction you need them at the time to keep those munching zombies away from your precious flesh. The environments are an array of demolished cityscapes, peppered with debris and enemies to add an interesting challenge to the Geometry Wars style shooter, since you have to watch your step as well. Both Local and Online co-op will be supported in this one, unfortunately without drop-in, drop-out. 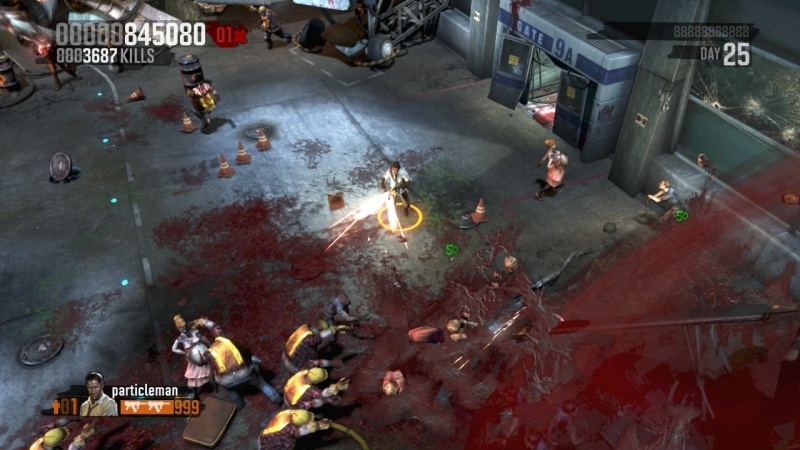 Plan your parties wisely before starting up, because Kotaku swears by the co-op in this one. "The only way to play a game like this is with friends, and you can both online and off, blasting your way through the game with up to four people."